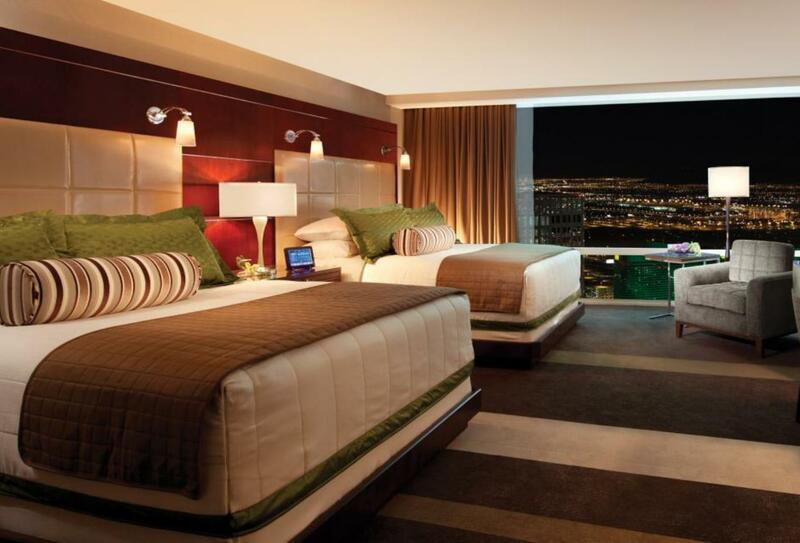 Aria Resort and Casino provides guests with an extraordinary level of high specification technology at their fingertips in their plush contemporary rooms that virtually guarantee a comfortable night’s sleep. Whilst awake however you may venture into the casino or to the theatre or dine in one of the many outstanding restaurants and bars. Your days may include lazing by the pool or working out in the gym or indulging yourself at the hotels’ well-equipped spa. 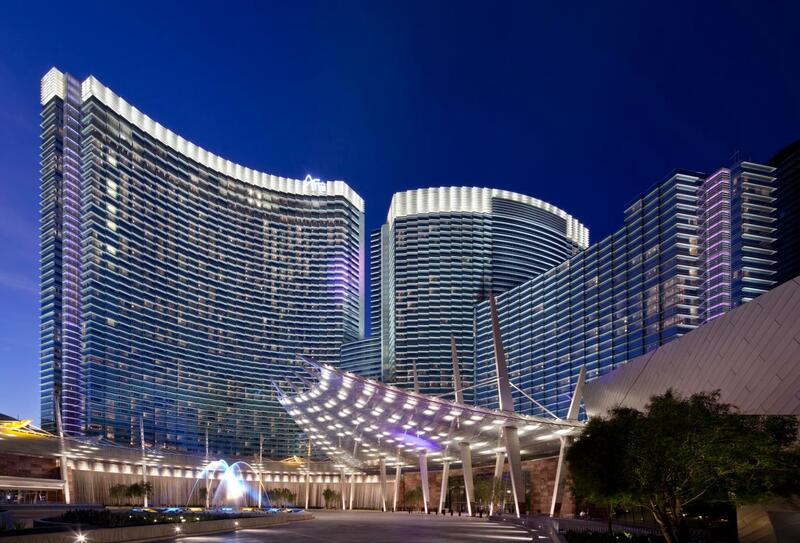 ‘An amazing array of facilities under the one roof will guarantee a truly authentic Vegas experience of excess, glitz and glamour; check-out the new Cirque du Soleil show. Fabulous, large suite located on the upper floors of the hotel and featuring custom furnishings, separate living room and master bedroom. A serene spa-like bathroom retreat for the ultimate in relaxation at the end of the evening or the utmost in rejuvenation at the start of the day. 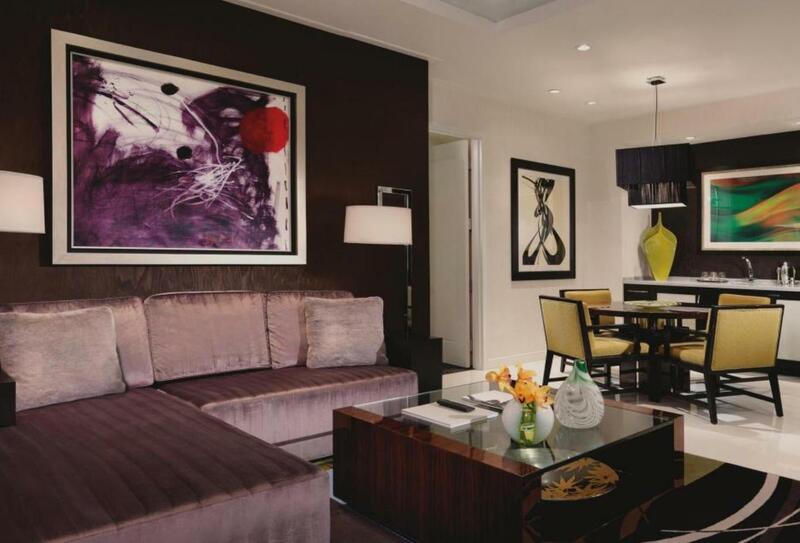 Unsurpassed amenities, such as an advanced room entertainment system for setting the perfect mood. 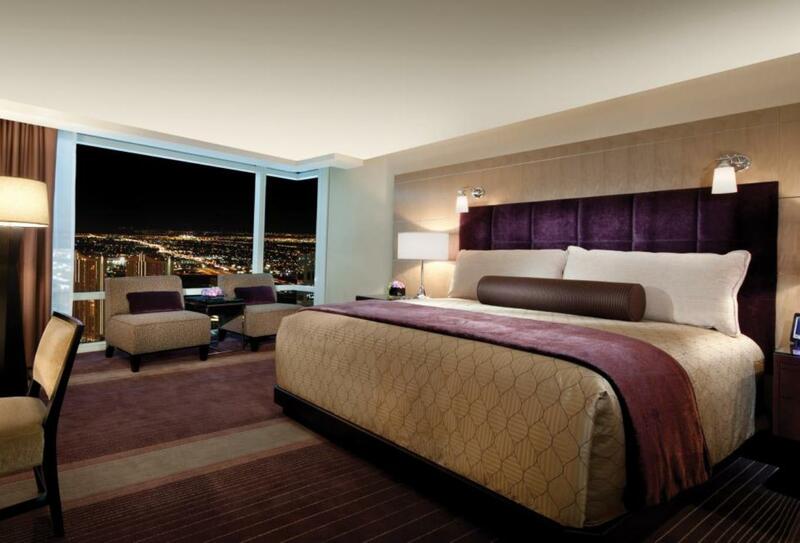 All topped off with stunning views of Las Vegas through the floor-to-ceiling windows. 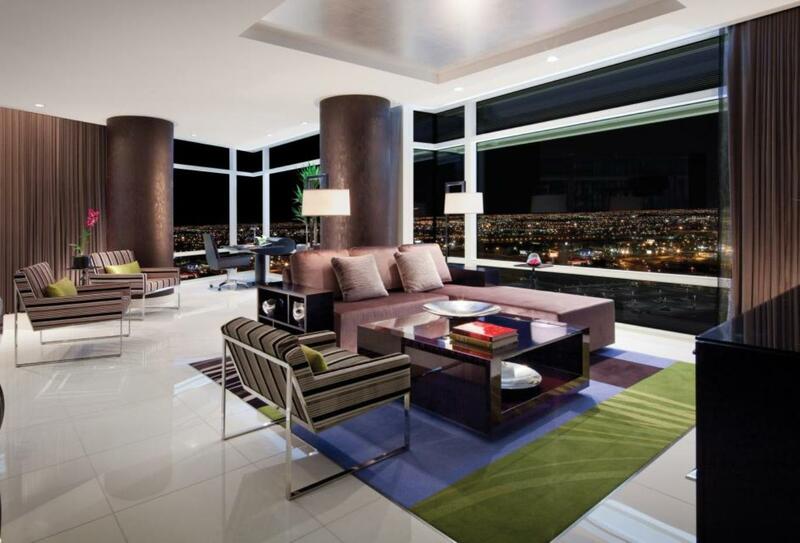 Private check-in where you receive a key to access the private elevator that whisks you to the opulence of ARIA’s impressive Penthouse suites. 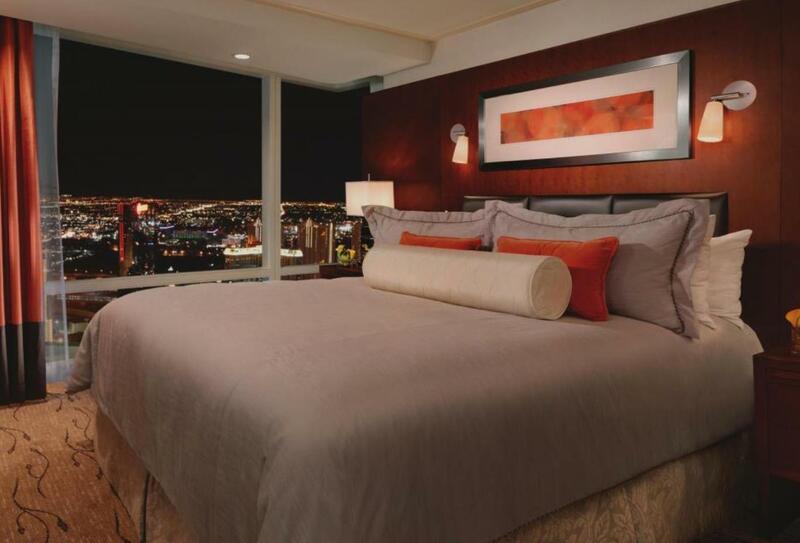 Distinctive decor, lavish amenities and a pulse-quickening, one-of-a-kind view of Vegas through floor-to-ceiling windows. 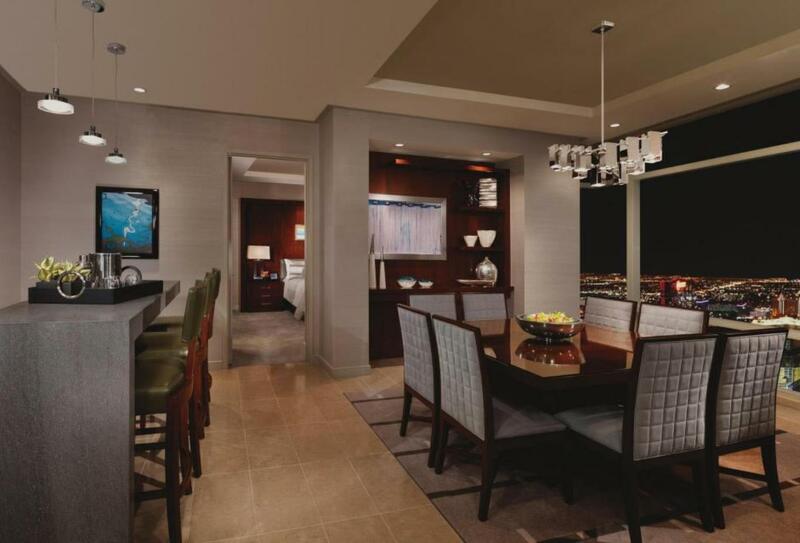 Exclusive one-touch in-room technology allowing guests to easily customize the suite and stay's features to personal preferences. Guests of Aria will be granted exclusive access to the legendary Shadow Creek course in the Nevada desert with its meandering creeks, manicured greens and competitive slope rating which combine to form a course as stunning in character as in composition. Zarkana by Cirque du Soleil is a stunning modern acrobatic spectacular of physical ability and spellbinding theatrics; the theatre holds 1,840 people and performances take place Friday to Tuesday at 19.00 & 21.30. Chinese cuisine in an attractive Chinese garden style setting. Chef Chi Choi includes the following on his menu: Indonesian curry sauce lobster tail, spicy wok fried scallion weal cheek, Jian bo beef and steamed crab claws on egg whites. Japanese fine dining from chef Masa Takayama, set in modern surroundings. Masa’s signature dishes include ohmi beef tataki with black truffle and Peking duck with foie gras and fried rice. Contemporary American cuisine from chef Shawn McClain including roasted sweetbreads, grilled Pacific cobia and Belgian ale braised short ribs. Julian’s restaurant serves small plates like Tapas for both lunch and dinner. Specialities include piquillo peppers stuffed with goats cheese and mushrooms, sautéed shrimp with brandy, mixed paella with lobster and prime tenderloin of beef with blue cheese. Beautiful, colourful restaurant where fine cuts of beef and fresh catch fish are given the royal treatment by chef Jean Georges Vongerichten. From classics like rib eye to marine lobster, dover sole and soy glazed ribs and featuring sauces like Bearnaise, hot mustard and three pepper marmalade. The scents and tastes of Tuscany are displayed here in style with rustic favourites and home style Italian specialities like Calzone pizza, meatballs with veal and ricotta and gnocchi with shrimp, string beans and basil pesto. Michael Mina’s restaurant is inspired by America’s great lakes, rivers and coastlines, and utilises four signature cooking methods of salt baking, wood grilling, cast iron griddling and ocean water poaching. Oregano bacon wrapped sturgeon, Hawaii big eye tuna and Long Island monkfish feature on the menu. Contemporary American fayre served on the casino level of the hotel with adjoining lounge and signature cocktail list. Modern interpretation of Thai cuisine. The Satay Bar offers charcoal-grilled beef, poultry, pork and seafood skewers served with a variety of sauces and seasonings. Or enjoy inspired Asian cocktails at the expanded bar and lounge located near the entrance. Two private dining rooms are also available. Whether breakfast, lunch or dinner, Café Vettro serves your favourite dishes in a casual and contemporary environment. Garden areas and natural elements provide relaxing dining settings while terraced seating and floor-to-ceiling windows allow for stunning views at any hour. Located on the Casino level next to the guest lifts. Various live-action cooking stations prepare a wide variety of fresh selections and exotic cuisine at this all-you-can-eat dining experience. With spectacular views of the pools and courtyards, the ARIA Buffet offers something for everyone in a fun and friendly atmosphere. Located poolside on the Promenade level. You can refresh and refuel while overlooking the beautiful pool deck and lush landscaping in a casual al fresco dining setting. Breeze Café offers innovative, healthy and fresh gourmet cuisine in a modern café setting. Open Seasonally. Menu includes freshly made crepes, gourmet sandwiches, salads and fine pastries. World Pastry Champion Jean-Philippe Maury's signature chocolates are on display and exquisitely packaged or guests can hand-select their favourites to create a custom box as a tasty souvenir. Boogie the night away at this eclectic brightly coloured venue with contemporary lighting system. Inspired by Elvis Presley’s Graceland and brought to guests by The Light Group and Cirque du Soleil. 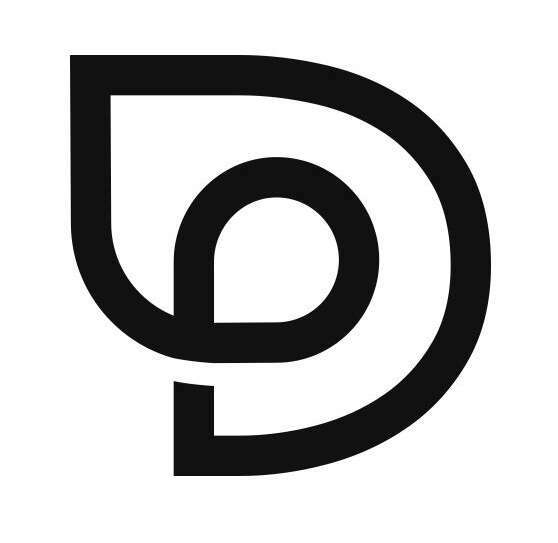 Custom made cocktails in a stylish environment. View Bar's prime location makes it the perfect place to kick-off an evening in CityCenter or relax after a day of shopping at Crystals. This full-service bar keeps you in the centre of the excitement. 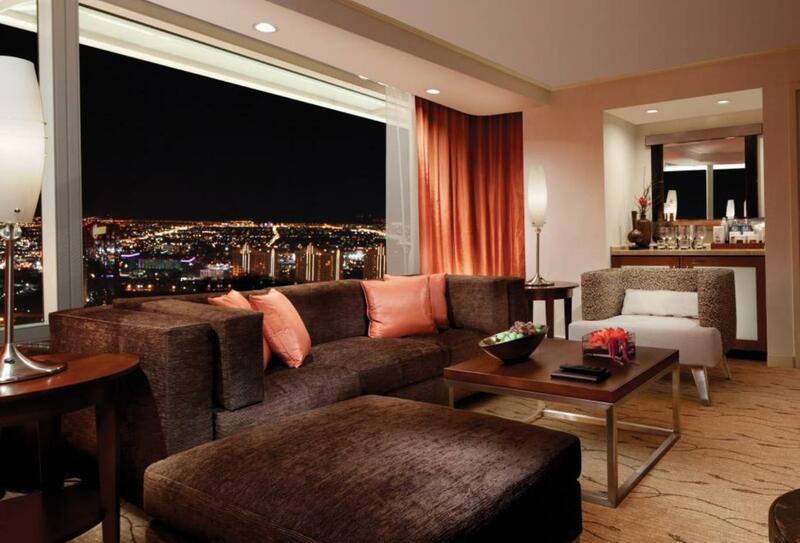 Lounge comfortably while mingling with friends, both new and old. Completing The Light Group portfolio is LIQUID, the resort's pool playground. 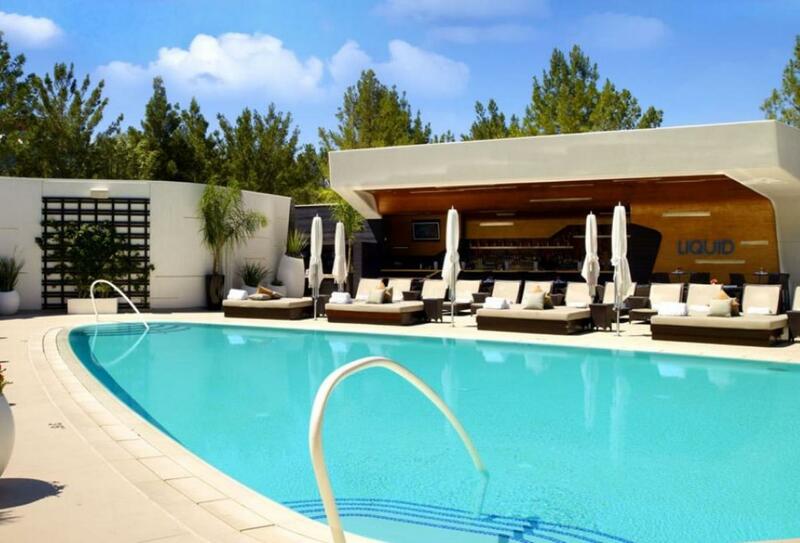 Experience outdoor refuge, where guests will enjoy poolside pampering and daytime indulgence. Open Seasonally. Outdoor sun meets outdoor fun at this casual bar featuring everyone's favourite pool drinks. Open seasonally.